If you practice personal injury law in California, it is only a matter of time before you will have to deal with a Medi-Cal lien. Over 13 million people – one of every three Californians – are covered by Medi-Cal, the state’s health plan for low income residents.1 While it is virtually impossible to avoid dealing with the Medi-Cal system, navigating the system can prove difficult and time consuming. If liens are not handled properly, settlement funds can be delayed for months and you can open yourself to complaints from your clients and possible State Bar discipline. This article provides an overview and practical tips for Medi-Cal lien resolution from intake through pre-trial settlement. It is key to discuss how medical treatment has been and will be paid for during your intake with a potential client. Many people do not realize that they will have to pay back their health insurer from settlement proceeds. It is important to explain this up front so that you can manage client expectations about the amount of money they can expect to receive and the time it will take to resolve a claim. 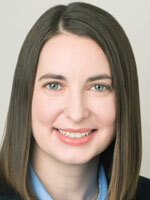 Medi-Cal liens often are not resolved for several months after settlement has been reached. Medi-Cal benefits can be administered by entities such as Kaiser Permanente or Anthem Blue Cross, so even if your client states they have what sounds like private insurance, it may not be. You may not be able to determine whether a specific plan is a Medi-Cal plan without contacting the health care plan. Ask the client to bring in their health benefits card and make a copy front and back. You will want to contact the health plan immediately to determine the type of plan, whether Medi-Cal, Medicare Supplement, ERISA, or private. The type of plan will affect how you deal with the lien and advise your client. You will also want to order any hospital records immediately. An injured party can receive temporary Medi-Cal benefits while in the hospital through the Hospital Presumptive Eligibility (HPE) program. The hospital submits an application on behalf of the patient. 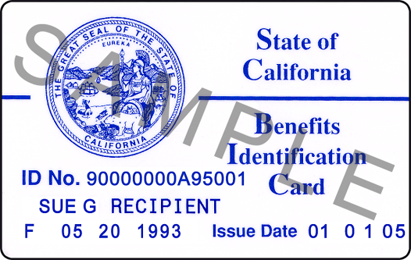 Due to the circumstances, a client may not realize or remember that they have signed up for Medi-Cal benefits. Furthermore, when applying for Medi-Cal coverage, benefits can be made retroactive up to three months. If the bills have already been paid, the beneficiary can request reimbursement from Medi-Cal for payments of medical bills within three months of coverage. Determine if Medical Payments (Med-Pay) coverage applies to the accident. Med-Pay can apply when someone is a passenger in another person’s vehicle or even when someone is a pedestrian. Many people are unfamiliar with Med-Pay coverage, whether they have it, or how it works. Ensure that any applicable Med-Pay coverage is engaged and exhausted. You will have to report to Medi-Cal any applicable Med-Pay coverage, including the amount and whether it has been exhausted. Within 30 days of filing an action or claim, a Medi-Cal beneficiary or his/her personal representative is required to notify DHCS.3 If no action or claim is filed in court, notice must be provided prior to settlement.4 It is in the best interest of your client to notify DHCS that a third party may be liable for an injury as soon as possible. In order to notify DHCS online, you must provide your name and email, your client’s name, date of birth, and Medi-Cal number, injury information, and Medical Payment coverage information in order to submit the New Case Notification form. Online forms are found at http://www.dhcs.ca.gov/services/ Pages/TPLRD_PI_OnlineForms.aspx. Be prepared when you sit down to complete the form – there is no “save draft” function and you are timed out of the system after 15 minutes. Before you click “submit,” save a copy of your form for your file. Once the form is submitted, you cannot go back to it. Only submit this form once, as multiple submissions can delay the process. DHCS should send a Notice of Lien asserting its recovery rights within 30 days. Calendar this date! If you do not receive the notification, call DHCS and follow up. It is important to be proactive with Medi-Cal liens. You do not want to wait until settling a case to realize that the notification was never received. As an attorney, you must submit an authorization for DHCS to communicate with you. You may send the authorization by mail with the initial notification or upload the authorization after you receive the initial letter from DHCS. If you choose to notify DHCS online, there is no ability to upload documents with the initial submission. You should not submit any updates, including an authorization, until the DHCS account number is received. Any submission without the DHCS account number will likely never make it to the file. DHCS will provide a lien after they receive the final date of Medi-Cal treatment or the settlement information. If your client has completed treatment, notify DHCS immediately. It can take months to obtain a lien amount from DHCS. In speaking with individuals at DHCS, I have been told that they will wait up to four months before beginning to put together the lien information. However, if it is clear that Medi-Cal’s lien will exceed the policy limit, you can call and request that the lien be expedited. If approved, once the Settlement Release is uploaded, they will run the report with the information they currently have. It is recommended that you follow up in two to three weeks to ensure it is being processed as an early report. This can greatly speed up the receipt of settlement funds for a client. Be sure that you have obtained the billing records for all treatment, as Medi-Cal’s lien will be determined later. If the policy limit is not tendered, you could leave money on the table and reduce the amount of the settlement received by your client. Medi-Cal is entitled to recover from both third-party and uninsured/underinsured motorist policies and required by federal law to seek recovery of payments made.8 While DHCS usually asserts a lien, DHCS can institute legal proceedings to recover the reasonable value of benefits provided against the liable tortfeasor or insurance carrier directly.9 Thus, even if a Medi-Cal recipient decides not to pursue an action against the liable party, DHCS can still obtain reimbursement for the benefits it extended. Medi-Cal is only entitled to collect on treatment up to the date of settlement.10 Unlike with Medicare, there is no provision for recovery for future medical treatment at this time. In the right case, this can prove important with regard to timing of treatment. If a surgery can be delayed until after settlement, that amount will not be included in the lien amount. You will want to confirm that your client will still be eligible for Medi-Cal benefits at the time of the treatment. On the other hand, if no further treatment will be required and thus, Medi-Cal will not be spending additional funds on the injury, remind them of this fact, especially if pursuing a reduction under section 14124.76. In no case is DHCS entitled to receive more of the settlement funds than the beneficiary after reduction for attorneys’ fees and costs.13 In our previous example, if settlement was in the amount of $15,000 instead of $50,000, attorneys’ fees would be $4,500, and the amount due to the client would be $10,300. DHCS would be entitled to no more than 50 percent of this amount, or $5,150. It is important to run both the 25 percent and 50 percent calculations to ensure the correct reduction is applied. In 2013, Congress approved the Budget Act of 2013,18 which included language overturning Ahlborn and permitting states to assert a Medicaid lien for the full amount of benefits paid without regard to other damages or comparative fault. States were supposed to pass legislation enacting these changes. However, on February 9, 2018, Congress passed and President Trump signed into law the 2018 Budget Act,19 which repeals the scope of state Medicaid lien expansion.20 In effect, this change makes Ahlborn the law of the land again and limits Medicaid recovery to the portion of a settlement that represents paid medical expenses. In this case DHCS submitted a declaration by a collection representative stating in essence that the plaintiff’s future care would be covered by Medi-Cal. The Court found this evidence lacking because “nothing in her declaration suggested any expertise with regard to past or future benefit eligibility or benefit determinations,” and “[she] cited no statutes or regulations requiring that Medi-Cal pay for all her health care needs, showing that Medi-Cal paid for these expenses in the past or that it is reasonably probable Medi-Cal will pay all of these expenses in the future.” You should be prepared to deal with an argument from DHCS that future medical expenses are excluded from your client’s overall damages. Plaintiff’s counsel should provide evidence of past medical damages (e.g., all paid medical bills, out-of-pocket expenses, and outstanding bills or liens), future medical damages (e.g., doctor’s reports, life care plans, and economic report), past wage loss records (e.g., W-2s, 1099s, tax returns, and economic report), future lost earning capacity (e.g., Functional Capacity Evaluation, vocational expert report, and economic report), and both past and future general damages (e.g., photographs, lay witness testimony, verdicts, medical reports, life care plans, functional capacity evaluation). This is information that you will likely have already put together in order to obtain a settlement. Establish the full value of your client’s damages, without taking into consideration contested issues or limited coverage and assets, through compelling evidence and argument. DHCS does not usually submit competing evidence of the overall damages, as this would require it to expend money retaining experts. Once the value of overall damages is established, the settlement amount is compared to the overall damages to obtain the Ahlborn ratio and applied to DHCS’s lien. The lien amount should then be further reduced pursuant to 14124.72(d) for attorneys’ fees and costs. DHCS typically asserts a lien in the amount it claims it paid in benefits and attempts to limit reductions to the 25 percent rule or the 50 percent rule. It is difficult to obtain an agreement from DHCS for a further reduction under section 14124.76. DHCS often asserts that the Ahlborn formula is not mandated by statute or case law, however, it fails to provide an alternative rational method for calculating the lien amount. DHCS also regularly contends that any apportionment of settlement proceeds is an attempt by the plaintiff or counsel to manipulate the settlement to avoid paying its lien. An attempt to overreach in your allocation should be avoided. You must protect Medi-Cal’s lien. Attorneys risk personal liability and State Bar discipline if they settle around or purposely disregard known valid liens.25 DHCS will require a copy of the settlement agreement, attorney fees and itemized litigation costs before reducing its lien, so it is best to provide the documents and information as soon as you are able. Settlement information can be submitted online. A settling third party and their insurance carrier are liable to Medi-Cal directly.26 As a result, you may encounter an insurance company that refuses to accept a hold harmless clause in the settlement agreement or release and insists on including DHCS as a payee on the check. A check made payable to the Medi-Cal beneficiary and DHCS can be submitted to DHCS along with a Letter of Guarantee (Form 4204), available on the DHCS website.27 This does not prevent further negotiation or lien reductions. It can take up to 60 days to obtain the endorsement, but the turnaround is often much quicker. Full payment of the lien is due when the case settles. Payment can be made online by Electronic Fund Transfer (EFT) or by mailing a check payable to Department of Health Care Services.28 The DHCS account number must be provided to ensure proper posting. A client may lose eligibility for Medi-Cal depending on the settlement size and how the settlement is distributed. This is beyond the scope of this article, but you should discuss this with the client early on and consider different options to protect their eligibility, including a special needs trust. While Medi-Cal liens can be difficult and time consuming to negotiate and navigate, understanding all of the tools available, being proactive, and acting timely can streamline the process and help to reduce headaches. 4 “No settlement, judgment, or award in any action or claim by a beneficiary to recover damages for injuries, where the director has an interest, shall be deemed final or satisfied without first giving the director notice and a reasonable opportunity to perfect and to satisfy the director’s lien.” Cal. Welf. & Inst. Code §14124.76(a). 5 Cal. Welf. & Inst. Code §14124.73(c). 6 Cal. Welf. & Inst. Code §14124.73(d). 7 Kaiser’s Third Party Billing Department can be reached at (626) 405-2640. 8 Cal. Welf. & Inst. Code §14124.70(a), §14124.71(a); 42 U.S.C. § 1396a(a)(25). 9 Cal. Welf. & Inst. Code §14124.71. 10 Cal. Welf. & Inst. Code §14127.785. 11 But see Aguilera v. Loma Linda Univ. Med. Ctr., 235 Cal.App.4th 831 (2015). 12 Cal. Welf. & Inst. Code §14124.70(d). 13 Cal. Welf. & Inst. Code §14124.78. 14 Cal. Welf. & Inst. Code §14124.76; Arkansas Department of Health and Human Services v. Ahlborn (2006) 547 U.S. 268. 15 Ahlborn, 547 U.S. at 280, 126 S.Ct. at 1760. 16 547 U.S. at 281, 126 S.Ct. at 1761. 17 Lima v. Vouis, 174 Cal.App.4th 242 (2009), Bolanos v. Superior Court, 169 Cal.App.4th 744 (2008), Lopez v. Daimler Chrysler Corp., 179 Cal.App.4th 1373 (2009). 18 The Bipartisan Budget Act of 2013, Pub.L. 113-67, 2013 H.J.Res 59. 19 The Bipartisan Budget Act of 2018, Pub.L. 115-123, 2018 H.J.Res 1892. 20 The Bipartisan Budget Act of 2018, Pub.L. 115-123, 2018 H.J.Res 1892., §53102. 21 Aguilera v. Loma Linda Univ. Med. Ctr., 235 Cal.App.4th 831, 831-832 (2015). 22 Aguilera, 235 Cal.App.4th at 834-835. 23 Aguilera, 235 Cal.App.4th at 830-831, 185 Cal.Rptr.3d at 706. 24 Cal. Welf. & Inst. Code §14124.76. 25 Sanford v. Rasnick, 246 Cal. App. 4th 1121, 1131 (2016). 26 Cal. Welf. & Inst. Code §14124.71. 27 The address for submission is on the form, and is different than the address for notification of a claim.